CocoTek Premium Coco Nutrient is a powerful, high quality base nutrient, specifically formulated to work with and enhance the unique properties of coconut coir. This aggressive formula contains proprietary blends of calcium to ensure your plants thrive. 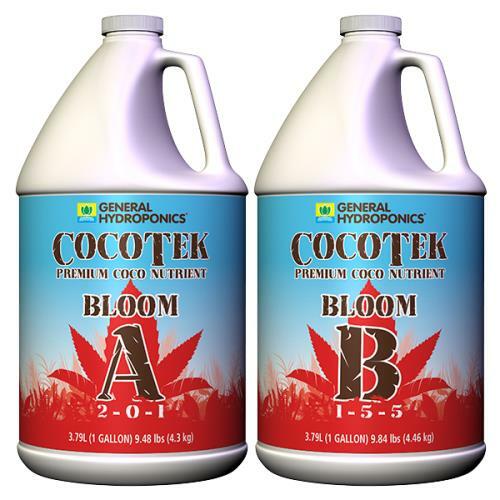 Backed by years of research, CocoTek Premium Coco Nutrients are specifically designed to support and enhance your coco coir growing experience. Use CocoTek Premium Nutrients with CocoTek Premium Coco Coir for optimum results. Designed for coco and works well in hydroponics, soilless and soil.